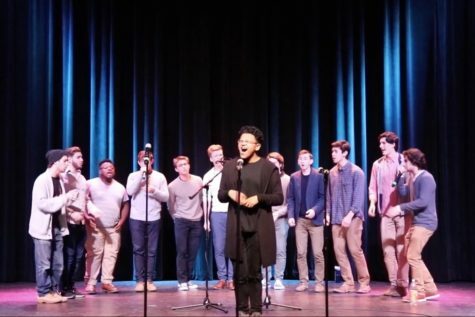 WW '18: Hypnotist show from WSPN TV on Vimeo. 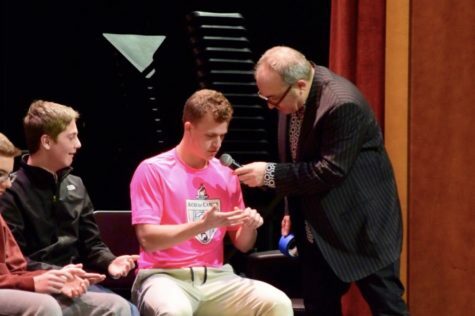 Hypnotist Peter Gross invited WHS students on stage during his Monday night performance to kick off Winter Week. 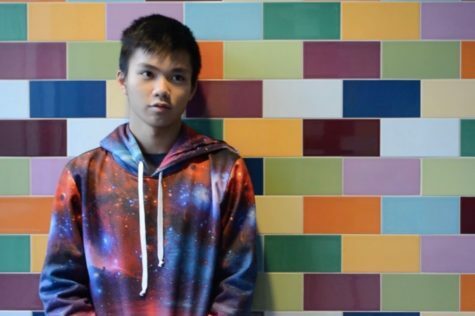 Reporter Julia Pak spent a day with the wrestling team. WSPN LIVE: 1-17-18 from WayCAM Public on Vimeo. 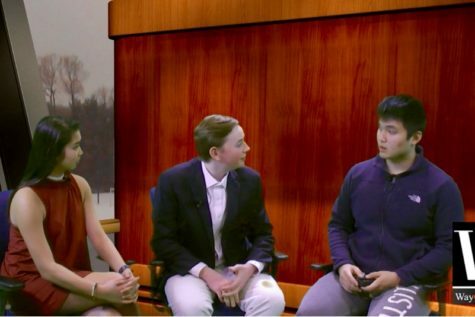 This week, WSPN's Audrey Camacho and Charlie Moore sit down with Student Council Vice President Kanming Xu to talk about the upcoming Winter Week at WHS. 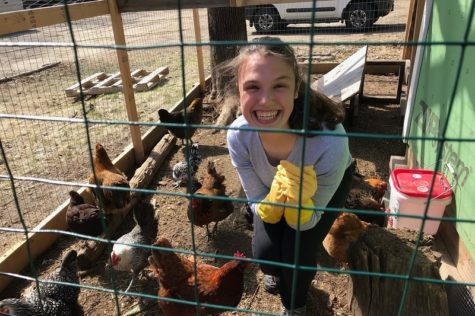 WHS students share their opinion on gun control. 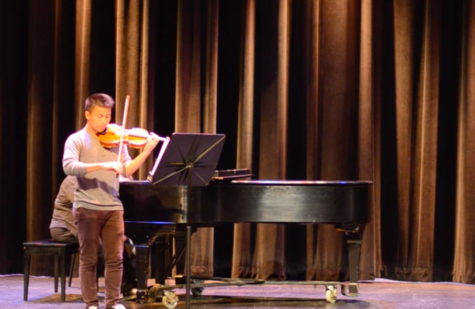 WSPN Live - Episode 8 from WayCAM Public on Vimeo. 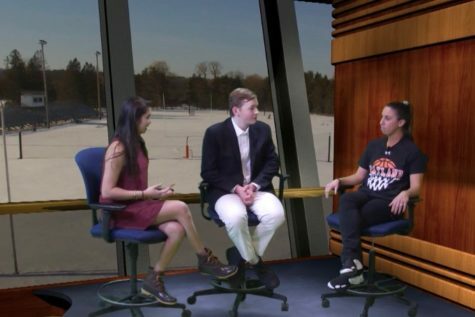 This week, WSPN's Audrey Camacho and Charlie Moore speak with girls' varsity basketball coach Amanda Cosenza about the upcoming game against Weston at TD Garden. 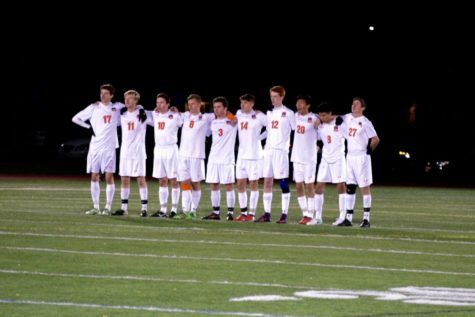 WSPN visits the Wayland boys' varsity soccer team's fall season. The team ended with a regular season record of 11-2-5 and a tournament record of 1-1. WHS teachers read reviews written about them on RateMyTeachers. All reviews are directly lifted from the site, with no editing for grammatical errors. WSPN LIVE - WEEK of 12 13 17 from WayCAM Public on Vimeo. 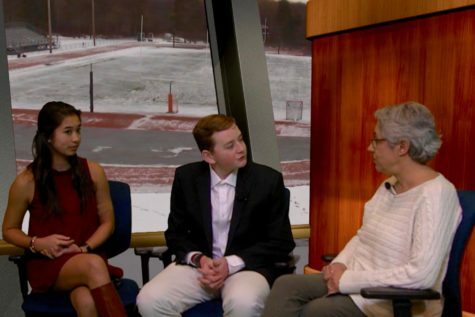 This week, reporters Charlie Moore and Audrey Camacho sit down with nurse Amy Schoeff to talk about the recent spread of the mononucleosis disease at WHS. Girls Playoffs from WSPN TV on Vimeo. 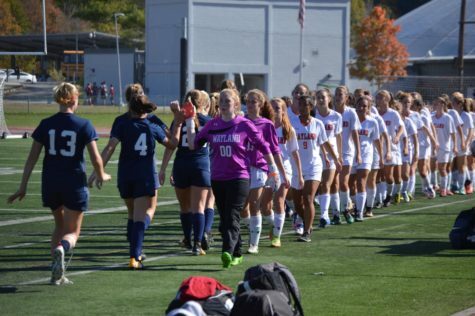 The Wayland girls' soccer team ended with a regular season record of 7-9-2 and a tournament record of 2-1. 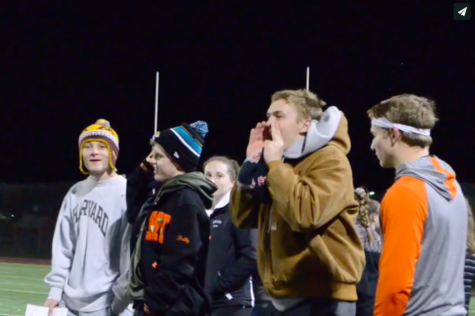 Powderpuff 2017 from WSPN TV on Vimeo. Senior powder puff players and coaches talk about their practice process before their 6-0 win over Weston.